Customer response to our CLI has been great since the preview release last September and the GA announcement in February. This has been a great opportunity for us to work with customers and learn what is working well and what is still needed. Some of the feedback we’ve received is that we need to provide more documentation and examples to fully leverage all the new features. All of the example scripts can be used in the CLI “as is”, and also as documentation to help you understand how to develop your own scripts. You can also get started with the CLI using the rest of our updated docs and samples, including installing and updating the CLI, working with Virtual Machines, creating a complete Linux environment including VMs, Scale Sets, Storage, and network. 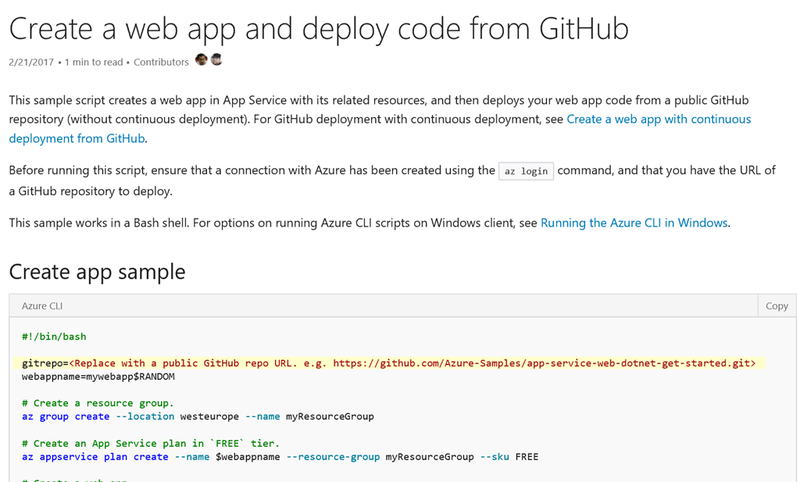 The Azure CLI is open source and on GitHub. We’re continuing to provide updates based on your ongoing feedback, so please share any suggestions you may have. 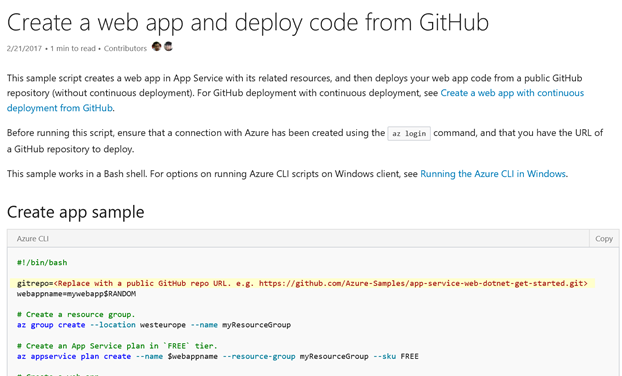 Reach out with suggestions or questions via StackOverflow using the azure-cli tag, or email us directly at azfeedback@microsoft.com.